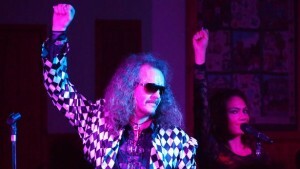 Join Doctor and the Medics for a Halloween Bash 31 October! Doctor and the Medics are honored that we are the the ‘first major act’ Mickle Trafford Village Hall has booked in 31 years! Mickle Trafford Village Club is a non profit organization run by volunteers to provide a community facility for the village. Doctor and the Medics performed at a private party for Mickle Trafford’s 30th Anniversary last year and we were thrilled to be invited back this year. All proceeds of the event will help raise funds to support the village hall for community use. Wristbands are £10 each and available behind the bar from 8.30 Mon-Sat or by calling 01244 301526 after 8.30pm.